Status: Contest finished on 31-03-2010. 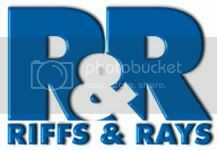 New remix contest by the producers Riffs & Rays. Remix the House track “Love Shapes Passion” and get your music featured on Eurosolution, Europe’s number one music distribution. Enter now! Ever had a great track in your collection but felt that you could do better than some of the mixes on the final CD? Ever wanted to have your remix featured on a promo package but not sure how? Top 10 Producers & Club Connoisseurs, Riffs & Rays have uploaded the parts of their new single Love Shapes Passion for you to remix. It features the vocal talents of the amazing Chenai (Bounce/X Factor Finalist). To enter and show off your remix and production skills, simply download the Remix Kit and do a remix. Any approach and style will be accepted. We will check out ALL entries. None will be ignored. The winners will be chosen by Riffs & Rays and Chenai and will be featured and fully credited on the official promo release via Eurosolution – Europe’s number one music distribution and marketing company. And who knows – It could lead on to bigger things too. Good luck & happy remixing!